This time of year the Bald Eagles ( Haliaeetus leucocephalus ) are chasing one another as part of their courtship. Early this morning, I was watching a male chasing a female and they were continuously circling, climbing and diving. 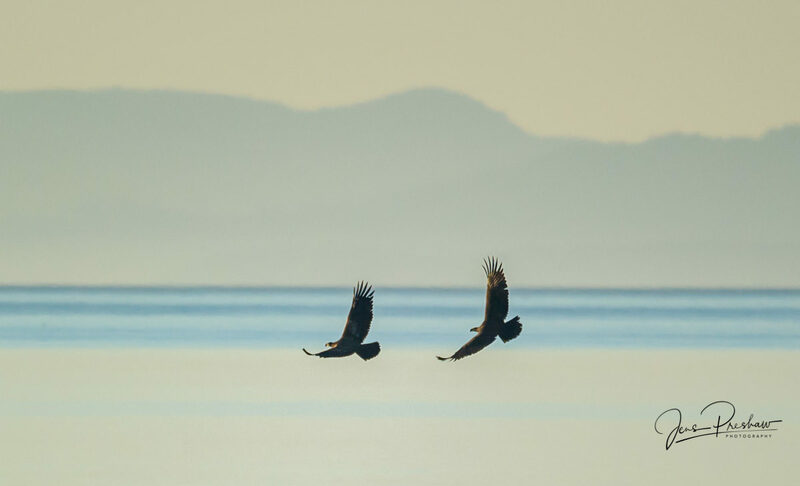 In this photo, I like the silhouettes of the Bald Eagles who are flying in sync and the simplicity of the background which conveys a sense of peacefulness and freedom.